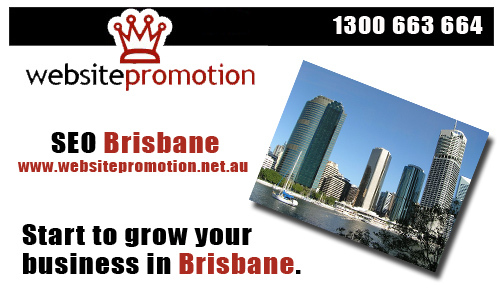 We provide search engine optimisation for businesses located in Brisbane . This is your chance to dominate top search engine results for your business. If your serious about getting found on Google then we can help. We guarantee our results, our in-house Search Engine Optimisation specialists work with our SEO friendly web designers and developers from InfoLink IT. Brisbane SEO packages are available now, if you have just started a business or you have a medium to large business then let Website Promotion update your website with the current trends in SEO. We pride ourselves on providing ethical white hat techniques and keep your site updated with new content to help cater to newly released Google Updates. We provide affordable SEO solution for Brisbane business owners. Website Promotions offers a wide range of SEO Packages to start your business grow and dominate the Search Engines. Search Engine Optimisation provides opportunity for your business to get higher visibility online, drive traffic and gain lots of customers. Call 1300 663 664 now and learn how we can help you.